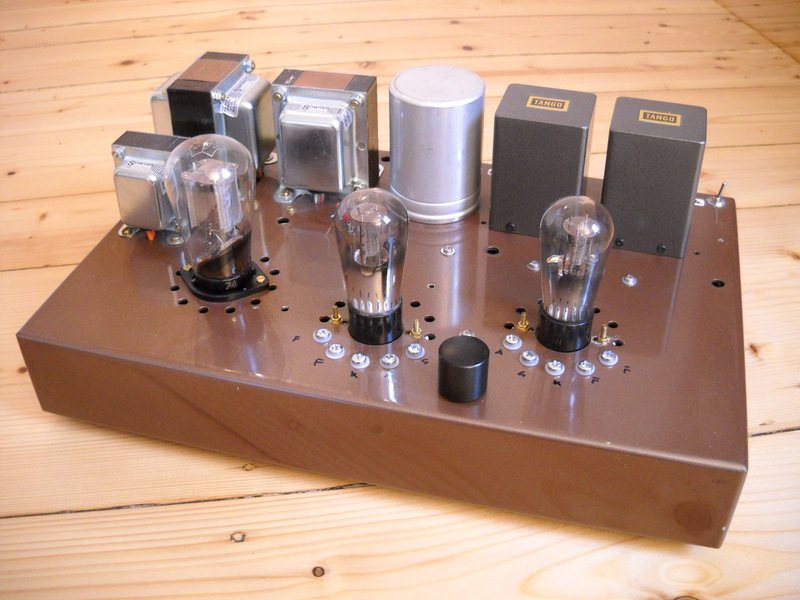 The indirect-heated US-Triodes 27, 37, 56 and 76 can be used for nice and simple Preamps. Here 56 with mesh-plate and Line-Output-Transformer Tango NP 126, wired 20k Primary and 1.2k Output-impedance. With the 1k Outputresistor you can affect the low frequency reproduction. 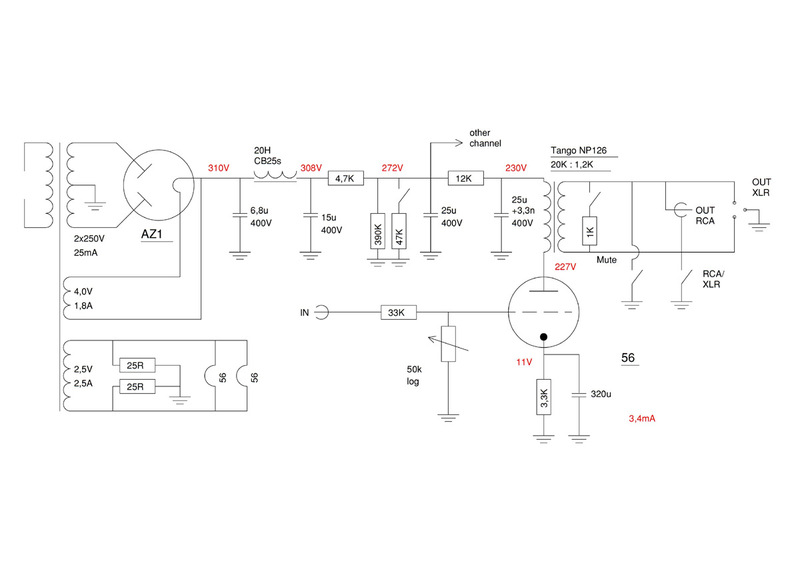 The AZ1 is a European direct heated Rectifier. 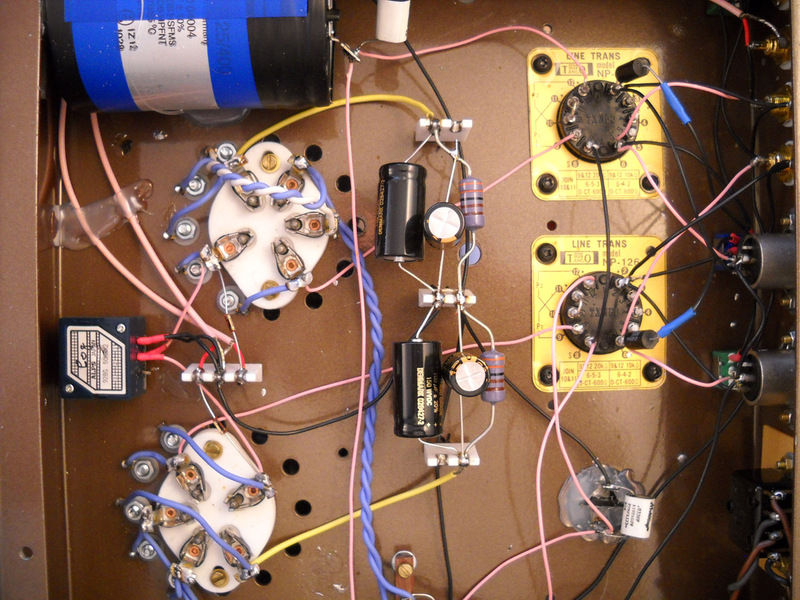 The 47k resistor reduces the voltage while the triodes are warming up.